Today’s review has been a VERY long time coming, the majority of it has been wrote up in my drafts however I’d never got around to putting to together in some sort of logical structure…until today. 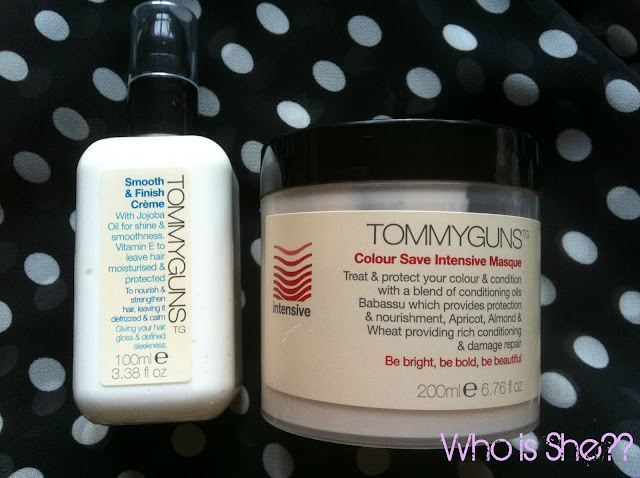 If you have been a regular reader of the blog you will know how much I love Tommyguns Colour Save Intensive Masque- I’m currently onto my third tub. Ages ago I was sent a range of Tommygun products to try, and I’ve already reviewed the shampoo and conditioner here. Now it’s the turn of the real gem products which this range has to offer. 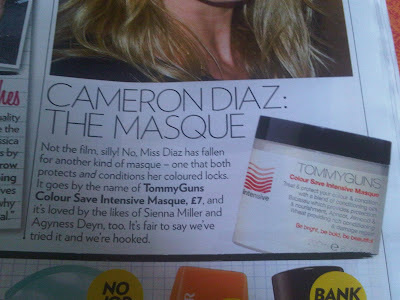 First up the Colour Save Intensive Masque- this is my HG deep conditioning treatment. Normally I will use this on my hair at least once every fortnight for 5 minutes (honestly it doesn’t take long to work on your hair), and then rinse and style as normal. 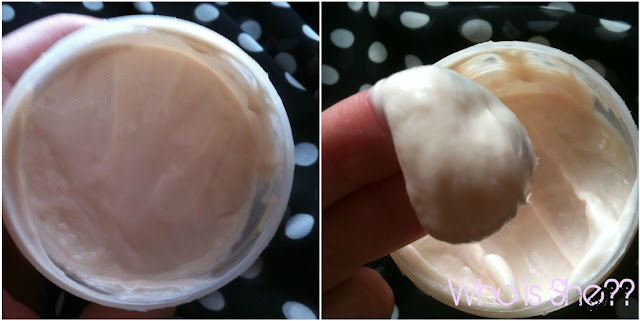 As you can see the product is very thick, and I normally use the amount I’ve got in my fingers on my hair, starting on the ends and working my way up. Remember however my hair is long, if you have shorter hair I'd use half the amount. I’ve never had any issues with this weighing my hair down, or making it greasy- my hair is always silky smooth, shiny and feels nourished. More importantly this smells amazing too- its one of those scents which when you smell it, smells really familiar, yet you can’t put your finger on it. You hair will smell of the conditioner for a good day afterwards, however its not over powering. I’ve never posted a picture of my hair on the blog in its natural state- its quite curly at the ends and the rest of it is frizz ball central. Since having a side fringe two years ago, I’ve suffered from major snapped hair on both sides and fly away hair. I look like a mad professor, and my glasses don’t really help the matter. I don’t use this every time I was my hair, normally every other wash (I don’t use it for nights out), and I only every apply this to the sides of my hair. If my hair is drying naturally sometimes I use this on the ends of my hair only. This product is really good at taming my frizz, its not a miracle worker however for me it works well. I still suffer from some frizz if my hair dries naturally, however this product has eliminated the majority of it. I think if you suffer from major frizz, personally I wouldn’t recommend this product to you. 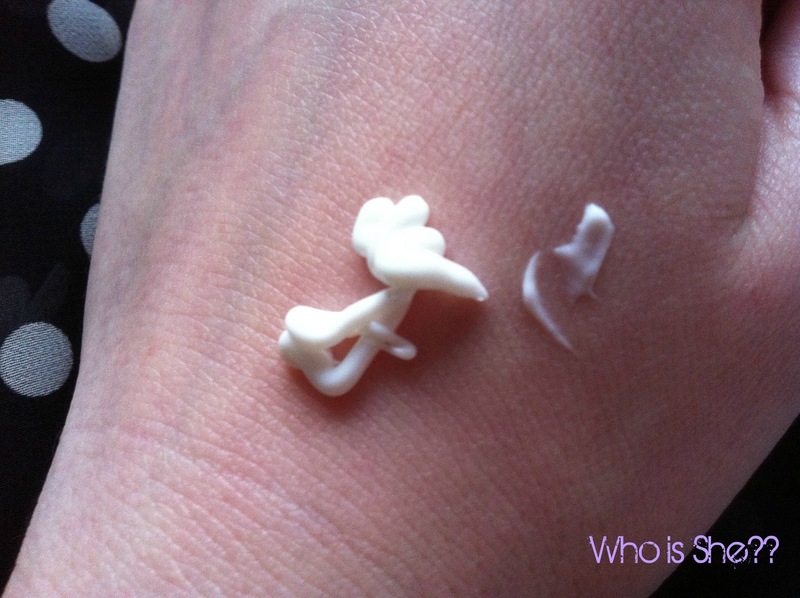 You only need a pea sized amount of this and I work this in my hands before applying- a little goes a very long way. The scent is very subtle and unlike the Colour Masque doesn’t linger in your hair. I’ve never used this on a night out on my hair, as I don’t like to weigh it down with much product. Overall I do think this is a fab product, although I would probably buy a travel sized miniature instead of a full sized bottle. Look what I found in Heat too- Cammy D is a fan. If its good enough for her, its good enough for me. Tommyguns is avaliable online and instore in John Lewis.